Hyperline is a North American manufacturer of the most comprehensive range of products available for Structured Cabling Systems; copper cable, LAN cable, telephone cable, telecommunication cable, fiber optic cable, coaxial cable, interface cable, industrial cable, hybrid cable and much more. Hyperline does not sell direct but has multiple partners in the form of distributors located all across North America. Our team of talented professionals will work diligently and stand behind our product through every stage. Whether it is providing product knowledge, warranty support, or installation training; we’re here to satisfy your needs. Celebrating our 10 year anniversary in 2015, we underwent a rebranding campaign. As part of this campaign we completely revamped our website, product packaging, company logo, and much more. Striving to remain up to date with industry standards and ahead of the curve with revolutionary products we are always growing and seeing what we can accomplish to achieve greatness. Gregory (Greg) Shields comes from a project management background with over 25 years working in Europe and the Eastern United States. Upon returning home almost five years ago, Greg has successfully re-organized Hyperline as a company regarding its distribution model, product offering(s) and re-branding. This all is attributed to the team at Hyperline, which none of this would have been achievable without their perseverance and support for Greg’s vision. Hyperline Systems’ success stems from its employees; traditional values in assuring the customer will receive the service they’ve paid for. In the last five years Hyperline has taken a quantum leap in establishing it’s footprint in the United States, Canada and the Middle East. Fortified in its Full Solution Approach; (Copper/(un) Shielded cabling and components, Décor, Audio/Video, Coax and Fiber Solutions, our customer base grows with our product offering in each market allowing for assured confidence in the quality they purchase. Behind all of our product solutions exists a tightly knit team of professionals with whom Greg takes great pride in. His dream is that all can relish in this journey of success in the coming years. A Family owned business run by the talents and professionalism of its employees and strengthen by its customer-base input. Gregory O’Reilly is our Chief Business Development Officer. 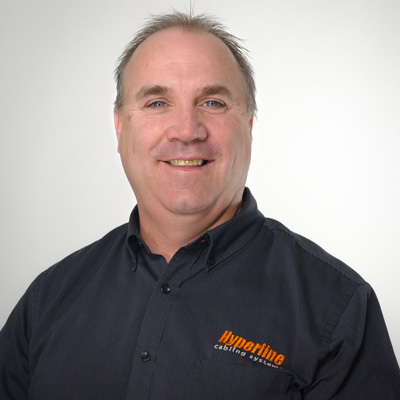 With 30+ years of experience within the Structured Cabling Industry, Greg brings a tremendous amount of leadership and vision to his position here at Hyperline. He understands and recognises the importance of technology on a global scale, and specifically, of staying ahead of the curve. 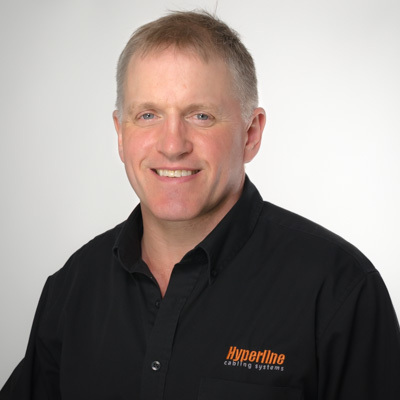 Greg strongly believes that “ensuring the successful growth of our many distributors will directly affect the successful growth of Hyperline as a company”. This belief is what drives his demand for total customer satisfaction from both himself and from his team. David Robertson brings over 25+ years as a Supply Chain & Purchasing Professional. He is currently serving as Hyperline’s Chief Operations Officer. A successful and proven negotiator; David understands and recognizes the importance of deadlines and budgetary constraints. Engaged as a leader and team player, he encourages teamwork throughout the supply chain internally as well as externally to ensure total customer satisfaction. From a professional standpoint, David continuously coordinate’s not only internal organizational requirements but also externally the capabilities of suppliers from both a technical and capacity point of view and the expectations of customer requirements for final product. David brings an enthusiasm and positive attitude to any situation. He is committed to the team, the suppliers and the customer taking into consideration all the goals and objectives. He is extremely proud of the organization, its accomplishments and the product we offer to our end users. Not afraid to laugh at himself, a proud father of 4, he has recently undertaken the humbling task of learning to skate in order to be a better hockey coach. Moonlighting as chauffeur in the evenings and weekends David enjoys participating in all his children’s extra-curricular activities. Sabrina is integrally involved in the daily operation of Hyperline’s US operations. She routinely reports to the CEO and works with all appropriate departments to execute the plan and directives set forth. She is always available to assist on any matter small or large. As Marketing Manager, Melissa Sproule uses her passion for digital design and analytics to drive marketing strategy and social engagement. She has over ten years of experience in marketing and design, overseeing brand identity, social media and content strategy, email, digital campaigns, partnerships, influencers, and events. Melissa has built a client portfolio with some of the finest technology companies and Ottawa based organizations. With a passion for technology, corporate marketing, and design, she stays current with industry trends and is always ready for a new challenge and the opportunity to lead new initiatives. Born and raised in Ottawa, Melissa is an avid skier, enjoys travelling, cooking, tennis and attending networking events. She often finds herself spotting out the newest restaurant or style blog and has a great eye for the next new trend. Roland is energetic, driven and ambitious to work with our clients and our team at Hyperline. Originally selling quality tools and construction fastening systems in Switzerland, Roland transitioned to Canada in 2010 and worked in field sales for five years. During his total of 8-1/2 years at Hilti in Switzerland and Canada, Roland won two awards for outstanding performances in 2009 and 2012. In 2015, Roland decided to take on a new career path in the Wire & Cable industry in manufacturing with Southwire where he contributed to the success of major electrical distributors and contractors in Ontario. Roland joined our team in February 2018 and his expertise will be valuable to make a further, long-lasting impact for Hyperline in Canada in the years to come. As a proud family man, Roland enjoys his leisure time with his wife and their two children. Roland enjoys reading, eagerly watching his sons hockey games and taking Photographs. Roland is proficient in German and English and he speaks a bit French and Hungarian. Since joining Hyperline in 2012, Jan held the position of Inside Sales Manager before recently transitioning to the position of Senior Purchasing Manager. In this new role, Jan reports directly to the COO. With her new responsibilities, Jan works closely with the other Operations team members on forecasting schedules and inventory levels for our 5 North American warehouses. As Senior Purchasing Manager, her responsibilities include issuing all purchase orders for goods and services for the corporation, as well as, the logistics and deliverables of these orders. 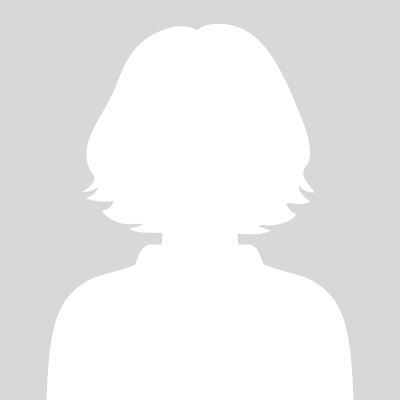 She also works closely with our supply chain vendors to develop good business relationships so that we can provide a best in case products and services to our customers. Robert L. Whitfield, born in Richmond, Virginia moved across the United States growing up from Coast to Coast before settling back to Richmond, Virginia in 1981. Robert Graduated from Randolph-Macon College where he played Football and Graduated with a Bachelor of Arts Degree in Psychology. 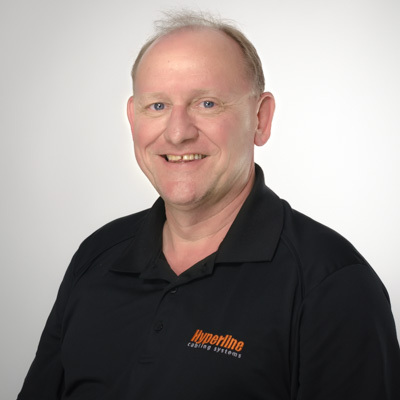 Robert joined the Structured Cabling industry when he was recruited by a National Competitor where he started Managing the Mid-Atlantic Region and eventually became the Eastern Regional Sales Manager with 4 Regional Managers reporting to him. Robert enjoys the ever changing environment that the Structured Cabling industry brings. Robert was very excited to join the Hyperline team as he sees a great deal of opportunity for the growth of the company. He and his wife Wendy of 25 years are proud parents of 3 Children and enjoy being active enthusiasts of all their activities. 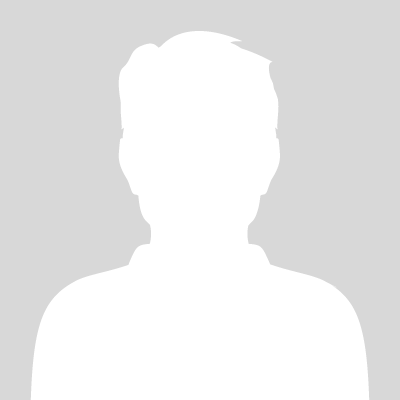 Robert is an avid Hunter and enjoys Salt Water fishing when he has the time.